Let's see where to start...how about the ones I liked least. That would have to be the Rimmel Eyeliner and Makeup Remover. I think I had a reaction to the eyeliner because my poor eyes got red right where I put it and then the makeup remover wouldn't work. I was in a panic so I grabbed some olive oil and off came the eyeliner. Whew. Not sure I'll be using those two again. I haven't used the Thyme herb yet but I'm sure I'll come across a recipe that I can use it in. Smells SO lovely. 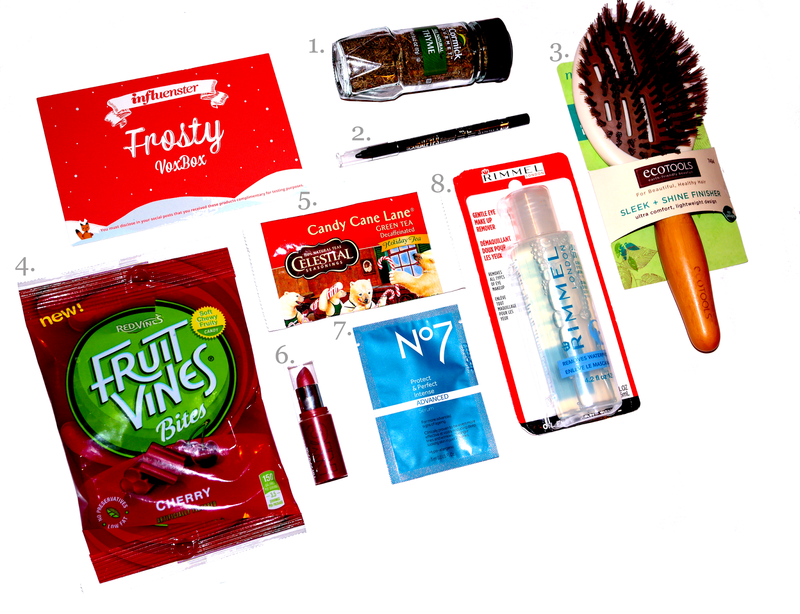 I received a small packet of the Boots No7 Protect & Perfect Intense ADVANCED Serum. It went on really nice and smooth. Can't say it did much for my skin since I don't really have any wrinkles. It did leave it nice and hydrated.